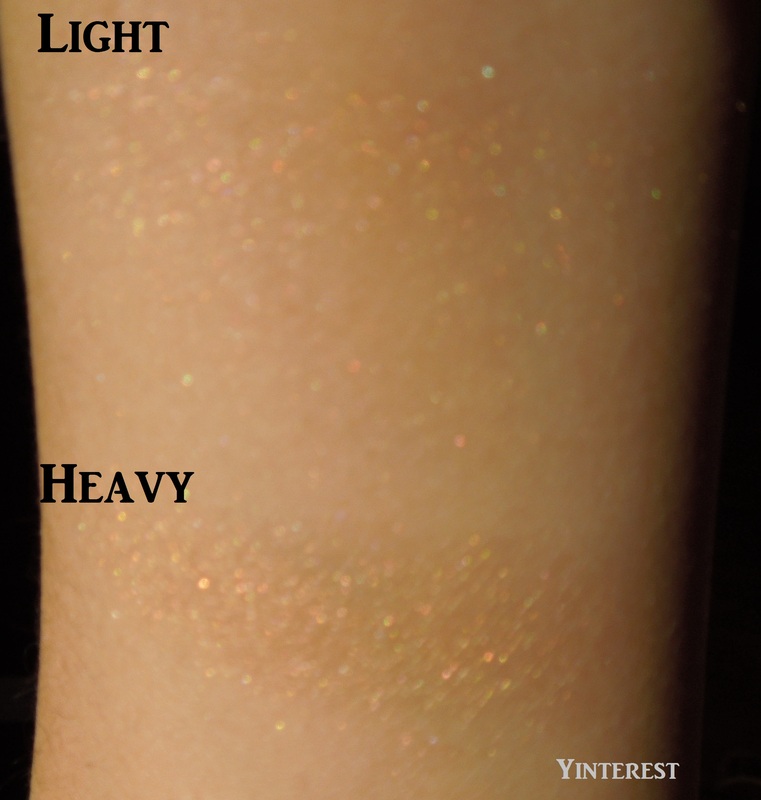 When I first read about this highlighter on the blog world, I wasn’t interested in getting it. After all, I just went out of my way to pick up their most elusive Cruel Gardenia Meteorites (I will not bother reviewing it since you can no longer get it anywhere, but I might do a quick look on it). 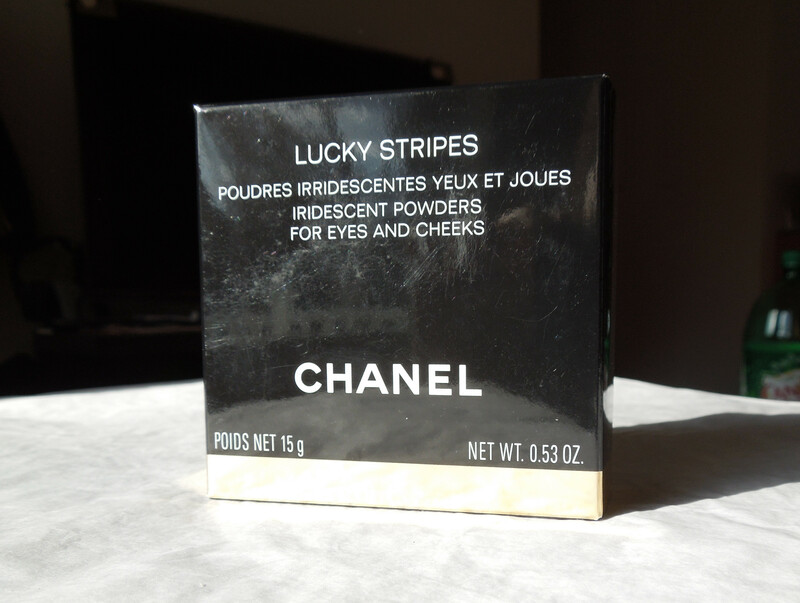 BUT when I saw this powder at Neiman Marcus, I had to have it. 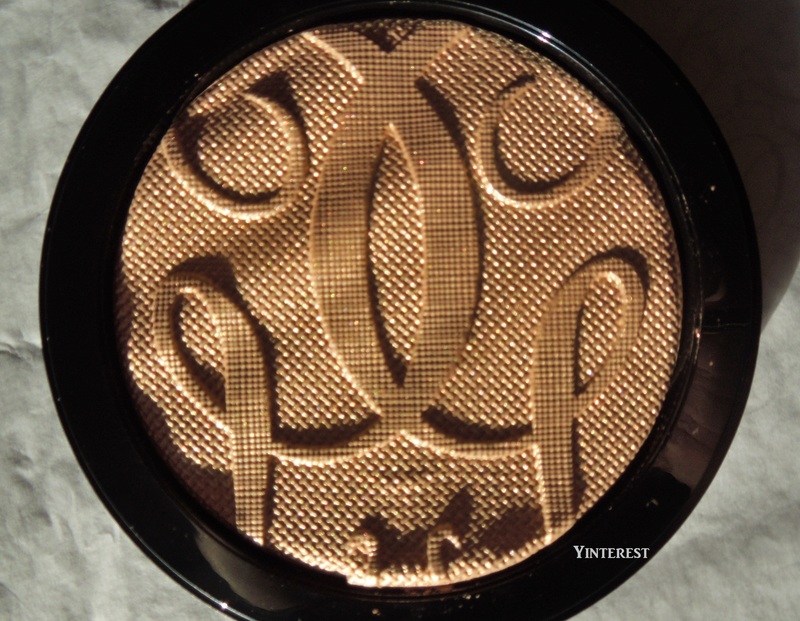 Unfortunately, this Guerlain highlighter was also sold out, but Nordstrom just got it so I ordered it online. First let me say that this is a HUGE compact, much bigger than the Cruel Gardenia Meteorites and the regular Meteorites compacts. It consists of a black matte plastic packaging with a snap closure that is both sleek and simple. 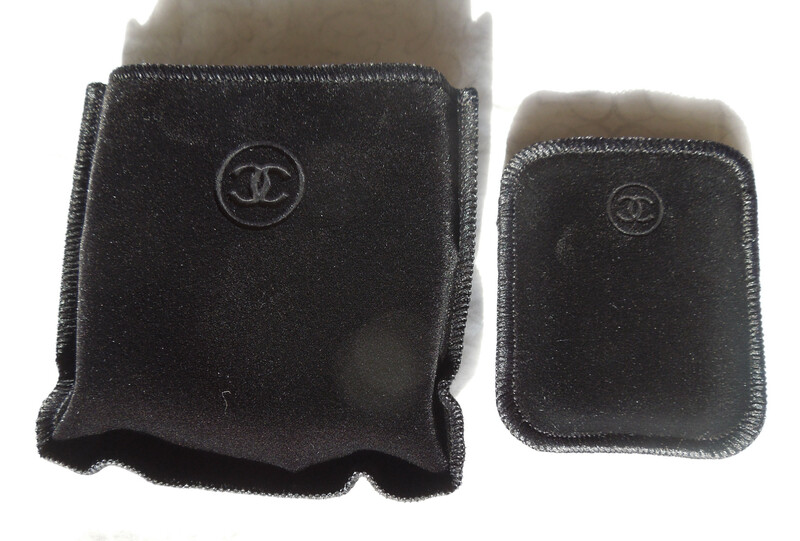 The packaging reminds me of the Armani Eyes to Kill palettes and the Le Métier De Beaute blushes. 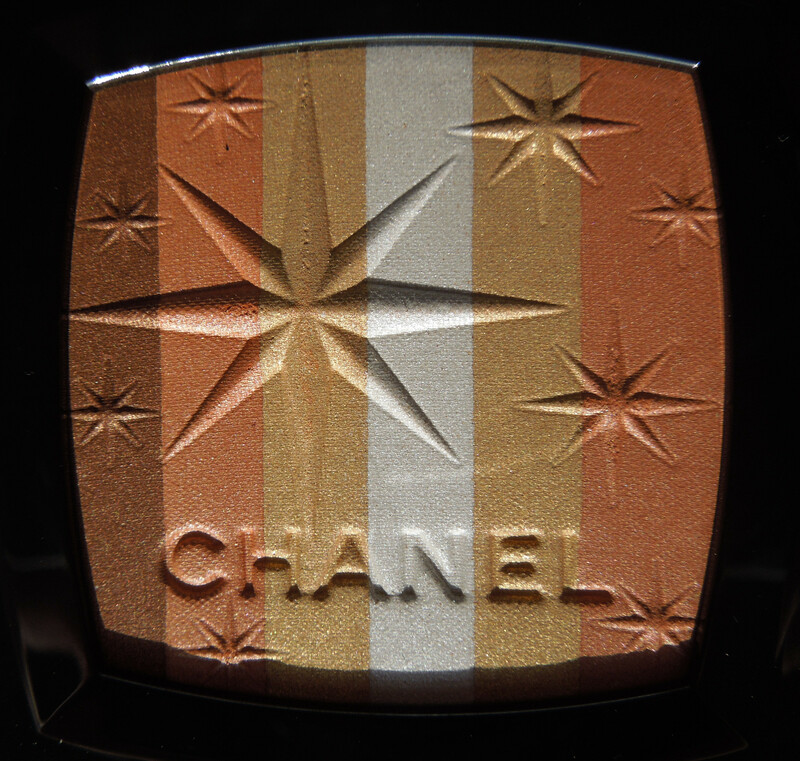 The powder presentation is very pretty, with waves on the surface and the detail is just gorgeous. 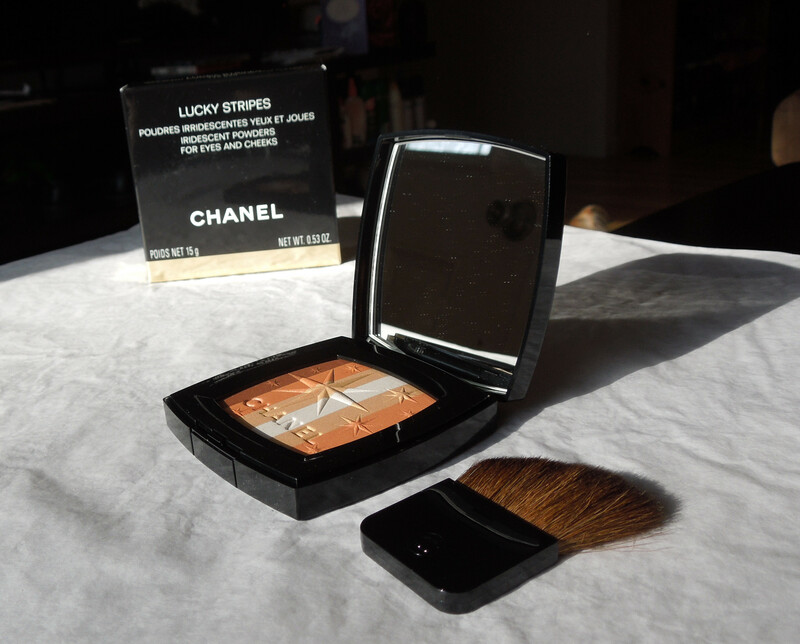 The powder itself is very finely milled. 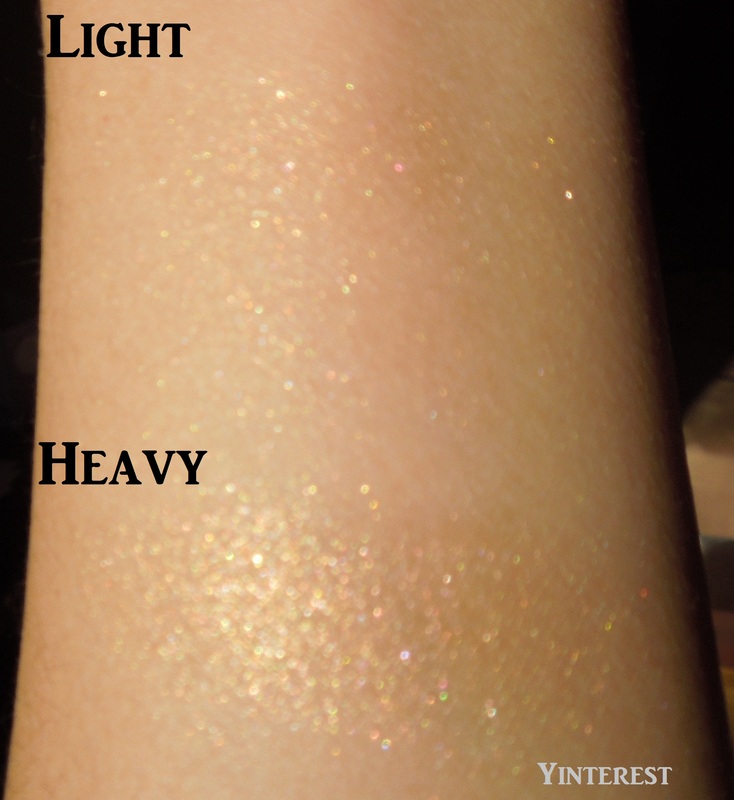 Under the sun it glistens, with bits of gold, green and pink colors on the heavy swatch. It is really hard to capture on camera how pretty it is. WARNING: This powder is extremely soft! The plastic cover has a part you tuck between the product and the case, and it ripped out some of the product for me. I just pushed it back in, ghetto style. 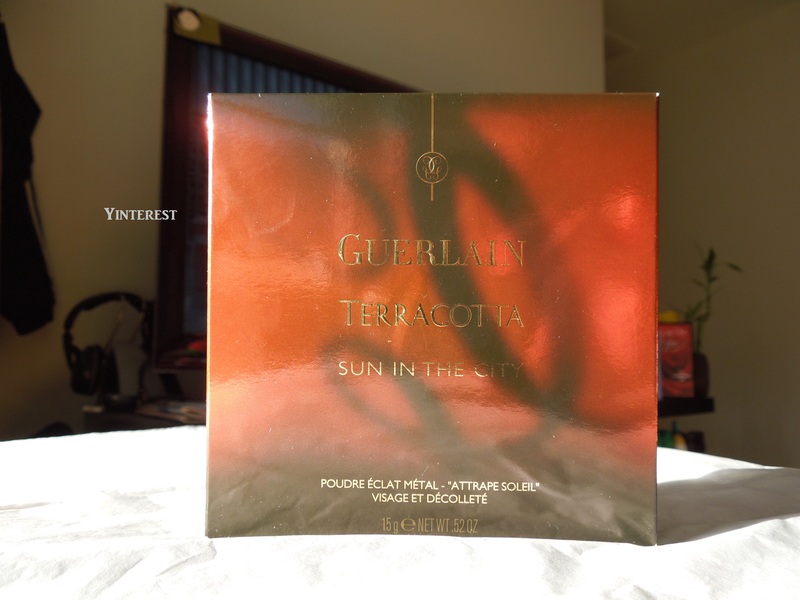 The Sun in the City does not have the normal Guerlain scent; it smells like bar soap to me from back in the day. It’s very minimal though, and the smell is only noticeable when in the compact. 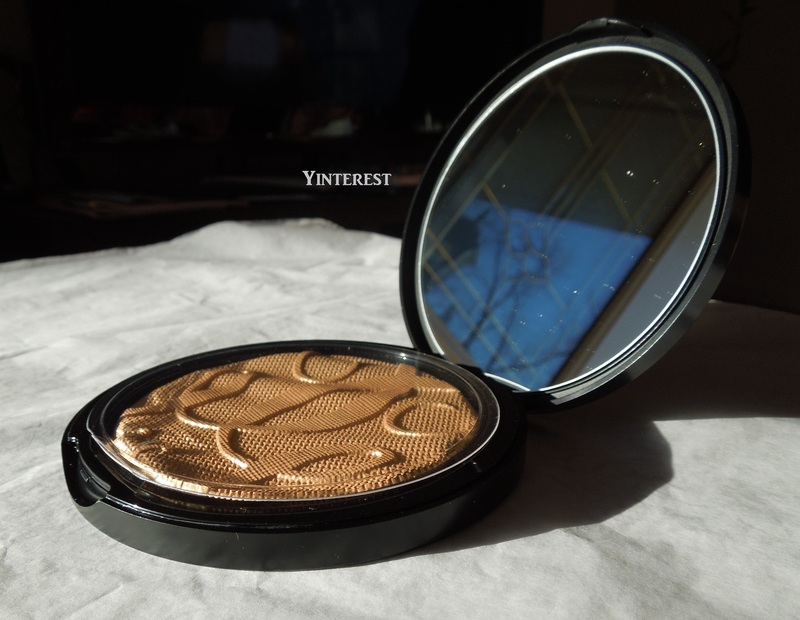 Bottom line: If you want to splurge on a golden highlighter or is a makeup collector I would highly recommend it. Otherwise, I would pass because of the high price.